The priority species listed on this web site is currently being updated. The full list of Priority Species can be viewed by clicking "Species List" on the menu above but we would ask that you are patient whilst the text for any new species are added. Text will follow in due course. During the preparation of the Northern Ireland Biodiversity Strategy (2002) an initial list of Northern Ireland Priority Species requiring conservation action was identified. A more comprehensive list of Northern Ireland Priority Species was later published in March 2004. A new list of Northern Ireland Priority Species has been published. These are species which require conservation action because of their decline, rarity and importance in an all-Ireland and UK context. It is intended that this list will be subject to reviews on an annual basis. The new Northern Ireland Priority Species list currently stands at 481 species, an increase from 271 on the ‘old’ list. Some groups have yet to be fully up-dated. In particular, those ‘grouped’ species from the 2004 list e.g. commercial marine fish, deep water fish species. Also, for some groups such as lichens, new information is being gathered but this is not fully available at the moment. For this reason CNCC and NIBG have agreed the facility to update the list as new information becomes available. 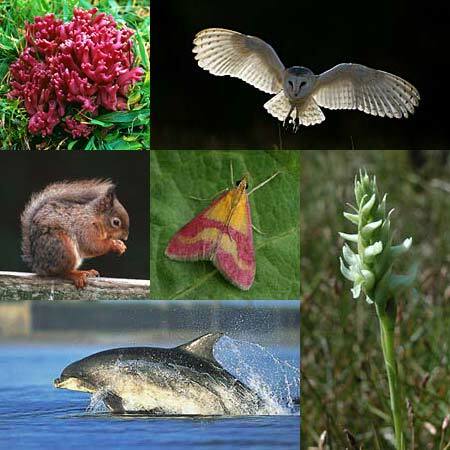 The following web pages provide an introduction to some of the Priority Species in Northern Ireland.